The NEES@UCSB education and outreach team visited Adelante Charter and Franklin Elementary sixth graders in Santa Barbara. 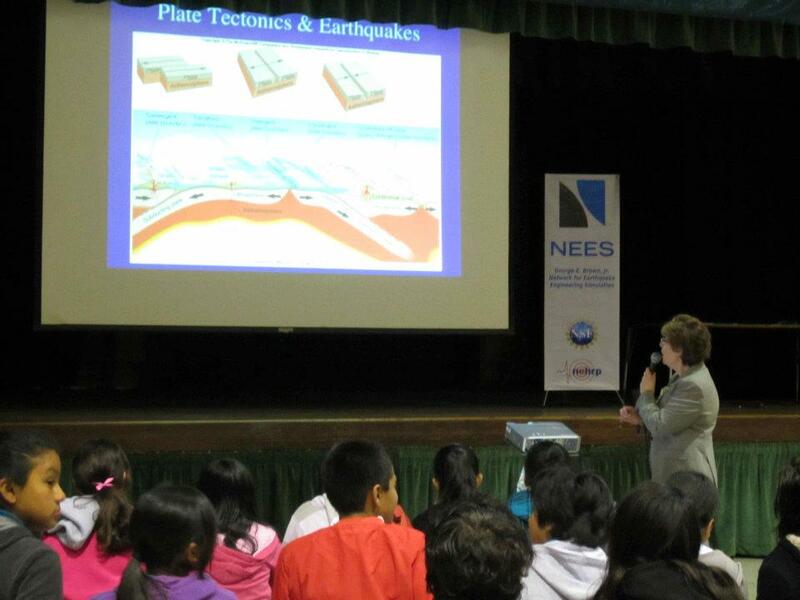 Dr. Sandra Seale made a power point presentation and gave an introductory lecture about seismology. She discussed topics such as plate tectonics and earthquakes, showed a movie of global seismicity and demonstrated how a seismometer works. The presentation concluded with a question and answer session and the opportunity for each student to generate their own earthquake by jumping next to a mems accelerometer. Students left with printouts of their earthquakes.